To report our experience with one-stage treatment of chronic osteomyelitis using a prospective protocol involving the concomitant use of the antibiotic-loaded calcium sulphate pellets with addition of bone marrow aspirate after bony debridement. A total of 30 patients with the mean age of 26.2 years were treated according to a protocol that included (1) surgical debridement of bone and infected tissues, (2) local antibiotic therapy including vancomycin and garamycin loaded on calcium sulphate space filling biodegradable pellets, (3) bone marrow aspirate added to the biocomposite, (4) primary closure with external fixation (when needed) and (5) intravenous antibiotics according to culture and sensitivity results. 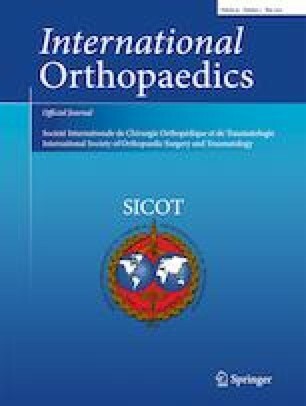 After a minimum of one year follow-up, infection was eradicated in 23 (76.7%) patients, the average rate of filling of the bony defect was 70.47%, complete filling of defect in 15 patients (50%) and pathological fracture in one patient. The technique proved safety and efficacy in eradicating the infection and bony healing of the defects after debridement. Simple bone marrow aspiration is cheap, reproducible, safe and not exhausting the scanty autograft resources. None of the authors received financial support for this study.